This Skeleton giant wall decals set by Wallies will be a hit as you and your kids will love creating your own amazing Halloween skeleton with this fun peel and stick skeleton mini mural kit. Want to change his look? 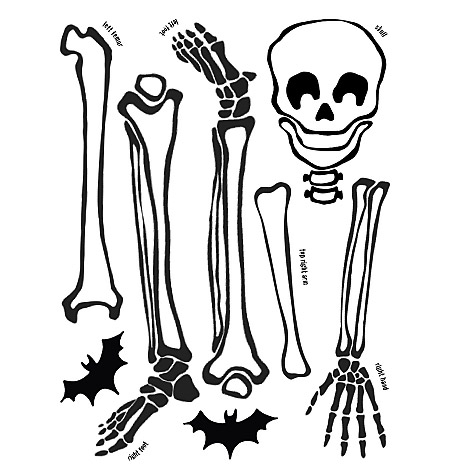 Simply remove and reposition to create a whole new pose for more Halloween fun. 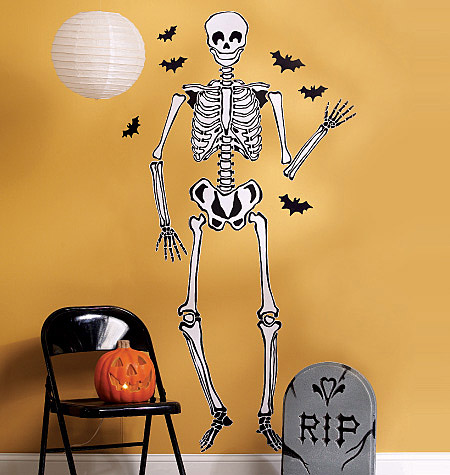 This holiday Wallies Jack O'Lantern giant wall decals set makes decorating for Halloween fast and easy. No water, no mess. Just peel them off the backing and stick them to the wall to bring the magic of the season into your home in minutes. 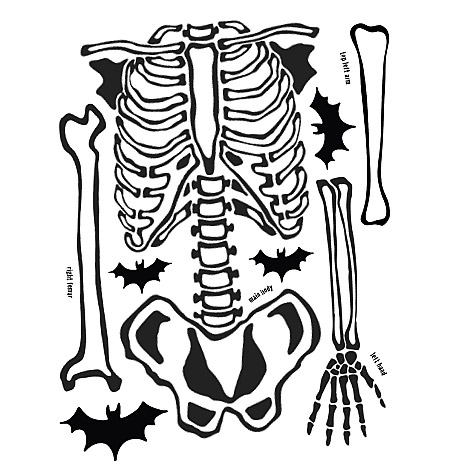 Made of durable, self-adhesive backed vinyl that can be removed and repositioned easily, this Jack O'Lantern peel and stick mini mural set will not harm or damage surfaces or leave a sticky residue. This Jack O'Lantern giant wall decals set lets you and your kids turn these fun pumpkins into your own special jack-o-lantern creations.